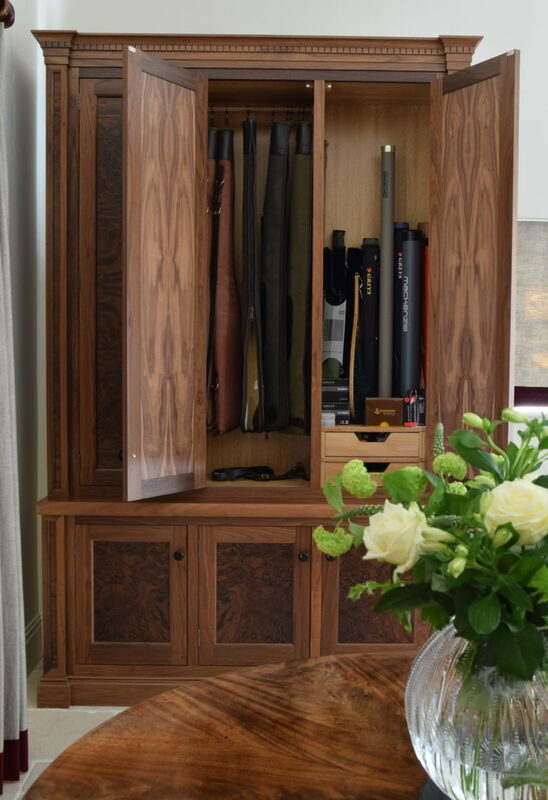 The brief for this project was to design some free-standing storage for a collection of shotguns and field sports equipment. 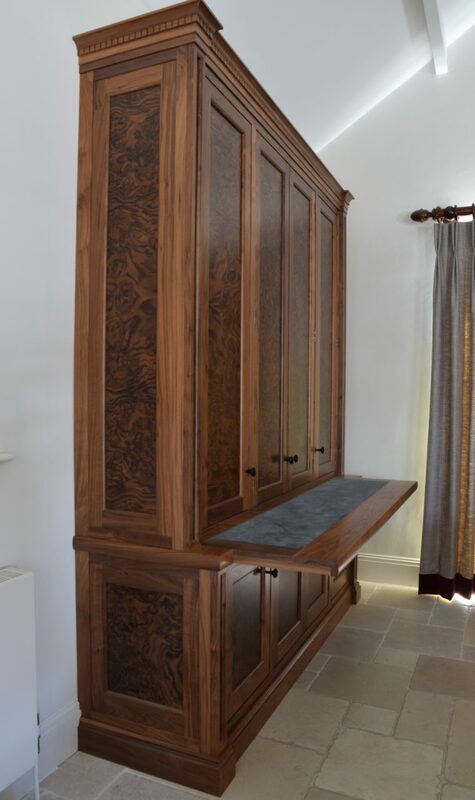 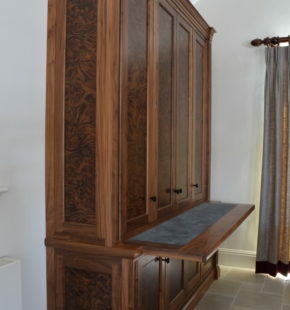 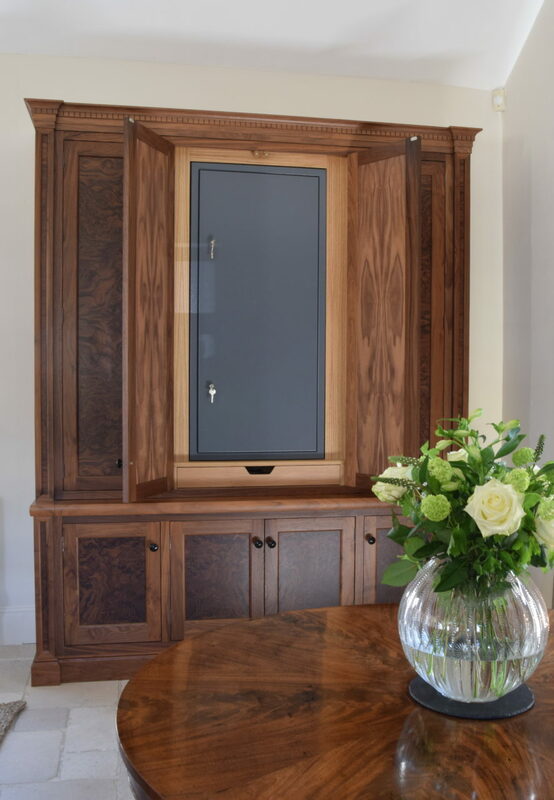 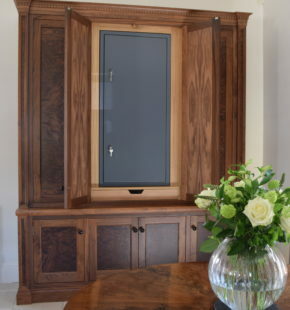 The resulting furniture was a rather beautiful pair of matching cabinets in lacquered walnut, based on a traditional bureau design with lockable doors. 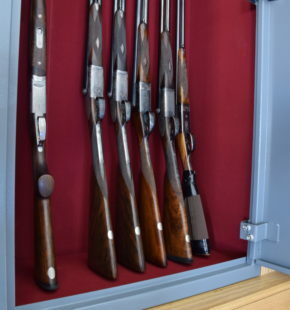 Each cabinet comprises of an upper and lower section with an ovolo moulded cornice and the middle section enclosing the gun case itself. 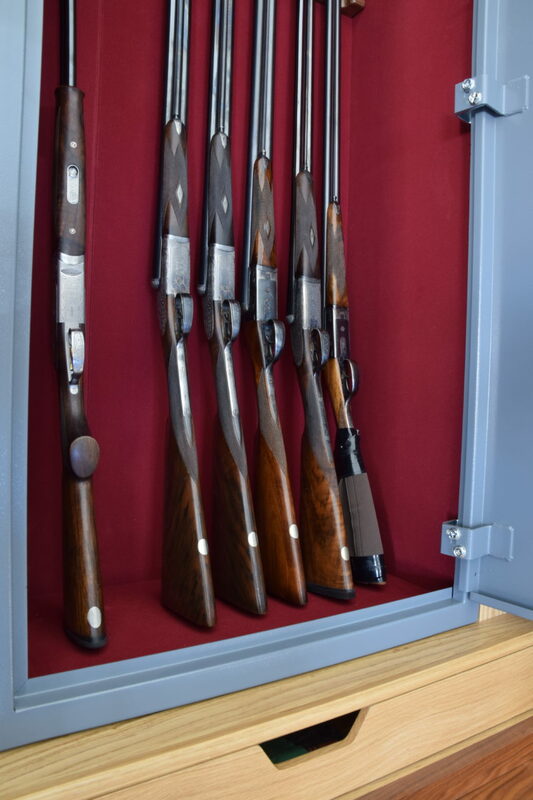 The bespoke metal box for this was made to measure by a gun case specialist to Guild Anderson’s specifications, to ensure that it would integrate neatly and securely into the cabinet design. 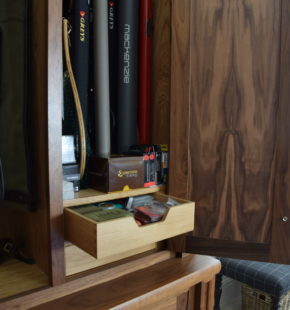 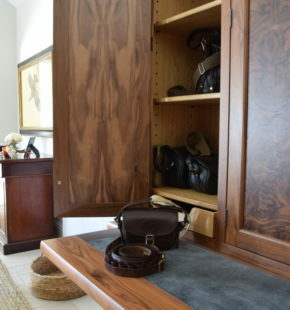 The design also incorporates a sleek pull out shelf that runs the full length of the cabinet which can be used for gun cleaning. 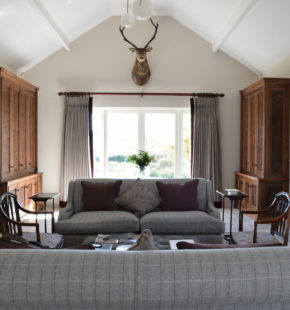 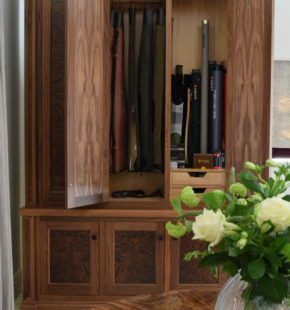 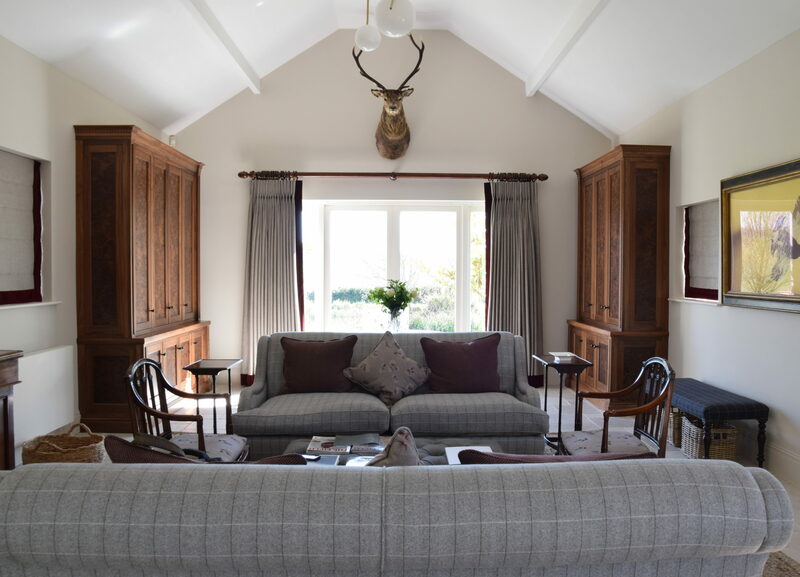 The remarkable success of this concept is that it uniquely does not look like a gun cupboard so that it can sit happily within the clients drawing room and not look ridiculously out of place. 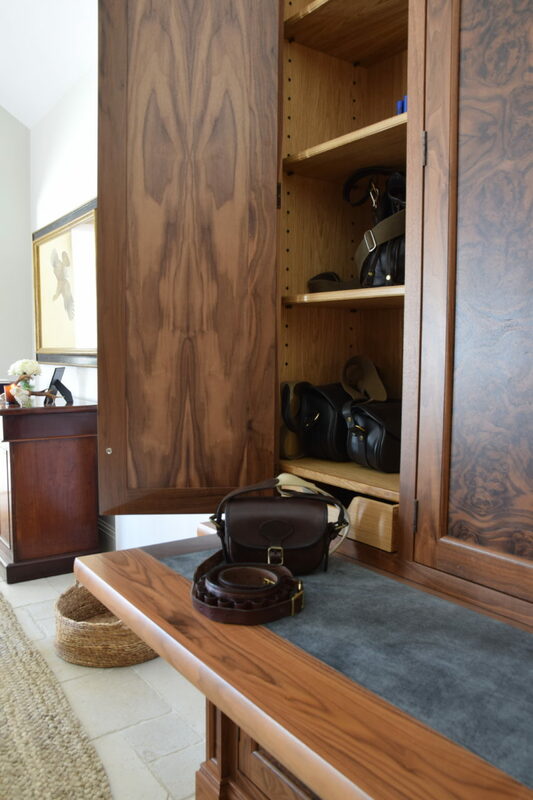 The second cabinet is similarly made with three beautifully figured cupboard doors which are lined in beechwood, both are are made in lacquered solid walnut with an inlaid panel of burr walnut veneer. 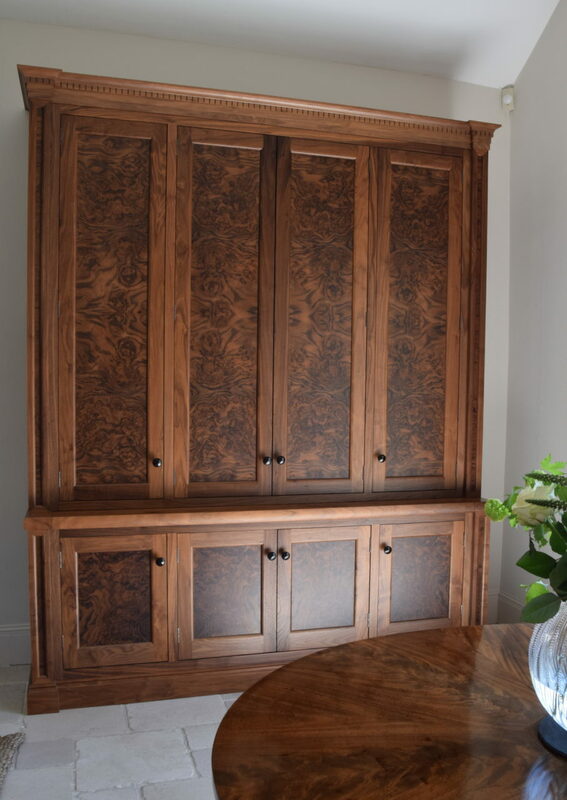 The American black walnut has been oiled and polished to draw out the striking grain. 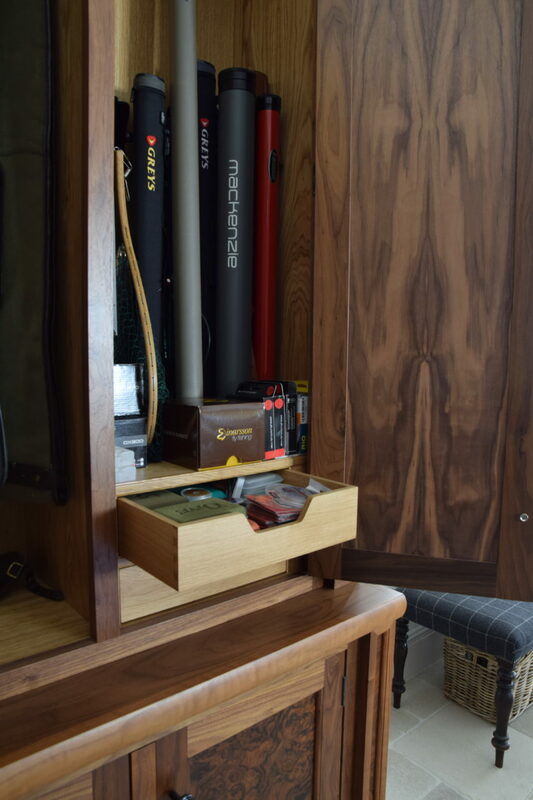 This cabinet holds all the fishing items, with ebony rod pegs and lots of drawers and pull outs for flies and reels. 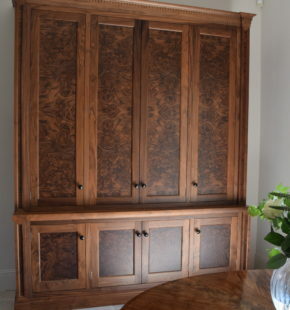 It is a truly beautiful piece of furniture for a country home, certainly an antique of the future.